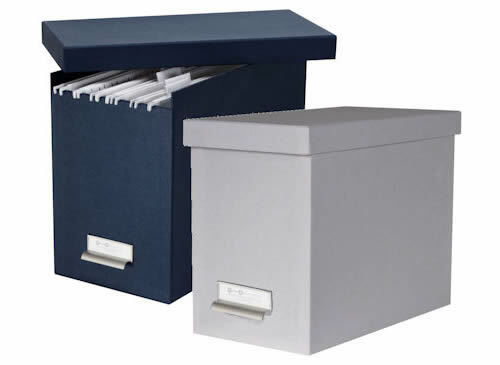 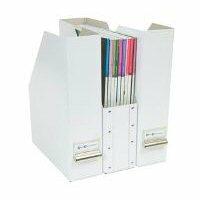 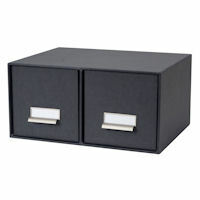 Our sturdy lidded A4 fibreboard suspension file storage box is covered in a charcoal grey coloured embossed plain Nordic paper which offers extra rigidity and stylish look. 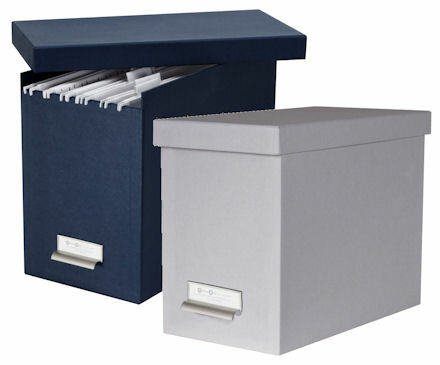 We've also popped 8 FREE suspension files (worth £5) inside for you. 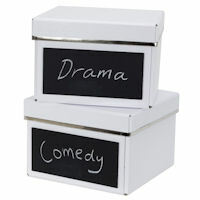 Please note this product is now only available in charcoal grey. 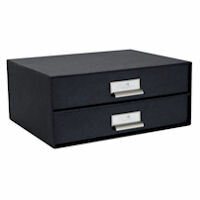 STORE being STORE, we've tried and tested dozens of storage boxes but finally plumped for this range from Scandinavia. 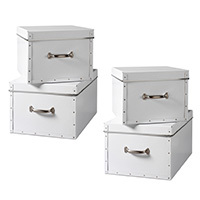 These hard wearing paper laminate storage boxes are made with thick recycled fibreboard with an embossed paper laminate over the surface. 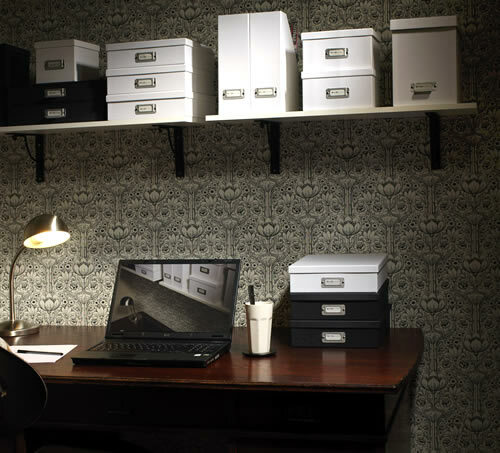 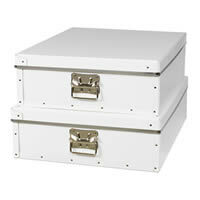 Our Nordic friends have been making stylish storage boxes since 1963 so it's no wonder the quality is so great.